Volunteers come to Haiti to serve. Mission Teams serve by helping in a variety of projects. We work with local churches and Christian schools to minister and reach out to the local community. Through the work of the Mission Teams, we are able to address the needs of the Haitian people and share the Gospel of Jesus Christ. A Mission Team from Sheldon, Iowa has been raising funds and constructing a new church building in TiGoave. Pastor Brucely is excited to begin holding services in the new building that will seat twice as many people as the present church. When we first started working with Pastor Brucely, the church was meeting in a building made of sticks and palm fronds. We are praying that the new church will draw many people to hear the Gospel and be saved. Several years ago, Pastor Joel asked Mission To Haiti to help build new classrooms for the school at Gallette Chambon. As the school continues to grow, the church building is not large enough to hold the growing number of children. The foundation for the new classrooms has been built, but we are praying for the opportunity to finish the walls and roof. If your team can help with this project, please let us know. The town of Lestere is located in the rice fields of central Haiti. Farmers earn as little as 50¢ a day. The Lestere school building needs repair. New supports need to be built and the walls need to be plastered. The second floor also needs a roof. If your team can help with this project, please let us know. 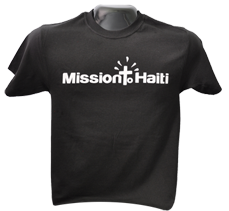 Mission To Haiti normally brings five mission teams to Haiti a year. Between the teams, our Haitian workers and missionaries continue to work on the field. Our diesel generator is a blessing to have. But now, our power needs are becoming greater than our generator can provide. We need to purchase a new generator and upgrade the mission campus electrical system to accommodate the new system. If your team can help with this project, please let us know.